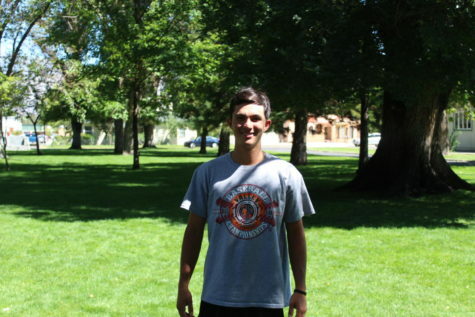 Matthew ‘Rosga’ is a senior at Bishop Union High School, as well a journalist for the ‘Bronco Roundup’ who has aspirations of being a Major League Baseball player. Rosga began playing baseball when he was 5 years old and has been hooked since. He has been able to balance academics and sports throughout his high school career by focusing himself fully on his academics while in school and afterwards practicing and perfecting his game. He has the desire to be recruited to any school to play baseball and than hopes to be drafted to play for the Angles. He than hopes to retire to be a sports journalist. To reach his goal he has been hitting the gym, playing second baseman on the Bishop Broncos baseball team while still maintaining a 4.1 GPA. His biggest idols being Mike Trout, Alex Bregman, and Dustin Pedroia and he hopes to one day play as well as them.